Wirecard’s flurry of activity continues as the German payment services and technology firm joins with Norway-based program manager Paygoo to launch a reloadable prepaid MasterCard, to be distributed through one of Europe’s largest convenience store chains, Reitan Convenience. 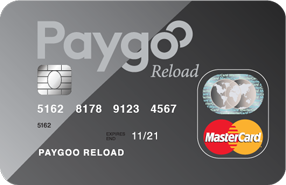 Issued by Wirecard Card Solutions—Wirecard’s issuance arm—the new card builds upon Paygoo’s existing MasterCard gift card program, which was launched earlier this year through Reitan’s convenience store network, including 7-Eleven, Shell and Narvesan stores in Norway and Sweden. The new prepaid card is available now in Norway, with a Swedish rollout expected soon, according to the announcement. Wirecard said a key target audience for the card will be foreign workers, which represent a high-opportunity market segment in Scandinavian countries, where populations tend to be highly banked. Meanwhile, the European Union’s Revised Payment Services Directive (PSD2), which was approved late last year, is expected to level the playing field in the European payments industry by opening more opportunities for smaller, third-party payments and financial services providers to compete with established banks for market share. The Paygoo deal is the latest for Wirecard, which earlier this month announced as issuance agreement with Curve, a London-based startup that produces a smart card that serves as a conduit for multiple payment and loyalty cards. The company also recently launched mycard2go, a Visa-branded prepaid card available throughout Germany, and made a pair of acquisitions to grow its international footprint, snapping up Romanian processor Provus Group and Brazil-based payments services provider Moip Pagamentos S.A. earlier this year.